Kamochi Terrace Hino is located near Neu in Hino-town and serves as a sightseeing hub. 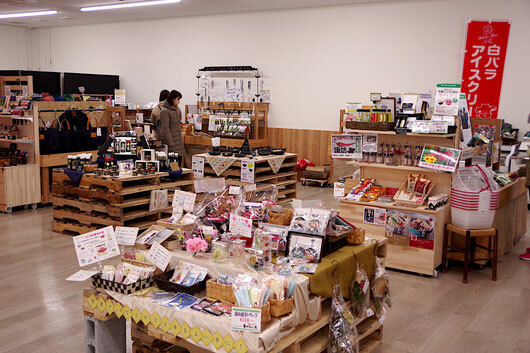 In addition to being able to buy rice, miso, vegetables, and other delicious Hino-town specialty items, there are also a plethora of sightseeing pamphlets available. Furthermore, many are very happy to find relaxation space and a kids' corner on site. Inside the facility, a replica of Kamochi Shrine is on display, while visitors also enjoy the corner that allows you to "test your fortune." On weekends, you may find (schedule varies) booths for especially popular dishes such as Tatara Donburi. If you are interested, please do not hesitate to ask.